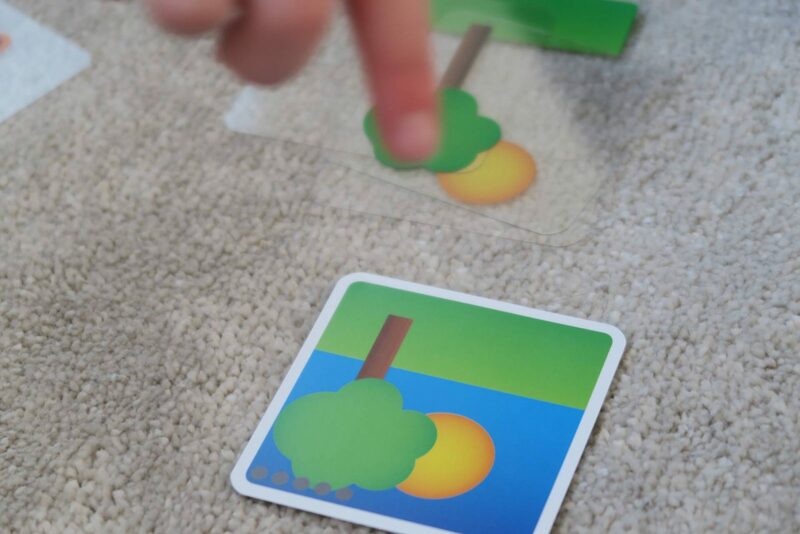 Cartamuni Fundels are a range of games that are both fun and educational. My favourite two things together. 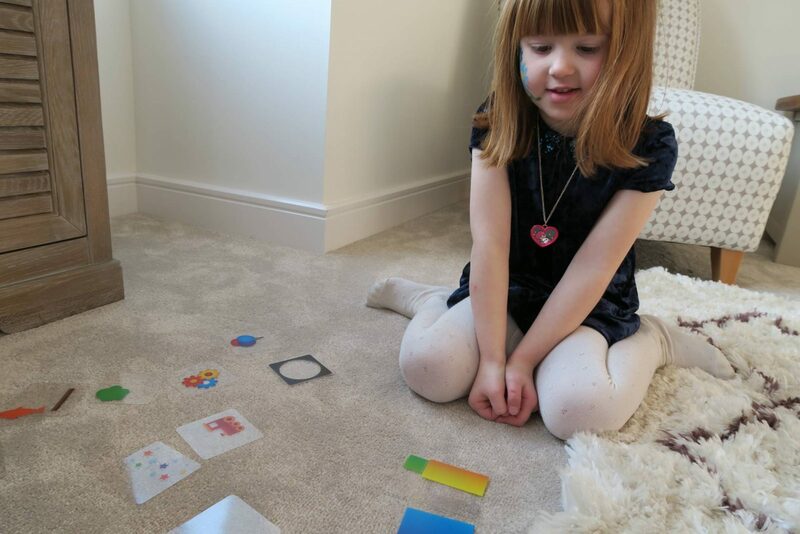 They have four games a mathematics game, a languages game and two conceptual thinking games. Each of these games comes in two versions, either a standard or premium option. This is our first time playing Cartamuni Fundel games and I was looking forward to sitting down with Alice to play the game we were sent. 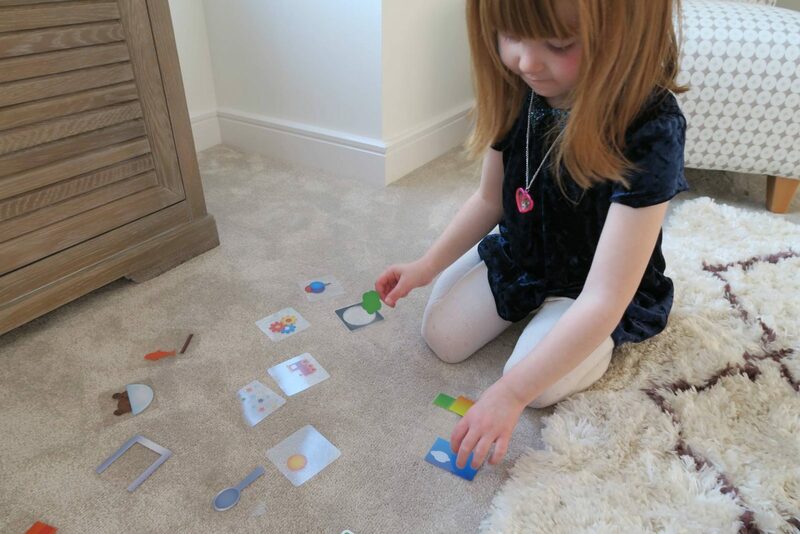 We received the Play & Learn Colour and Shapes game which was ideal for Alice, who is currently four years old and in reception at school. 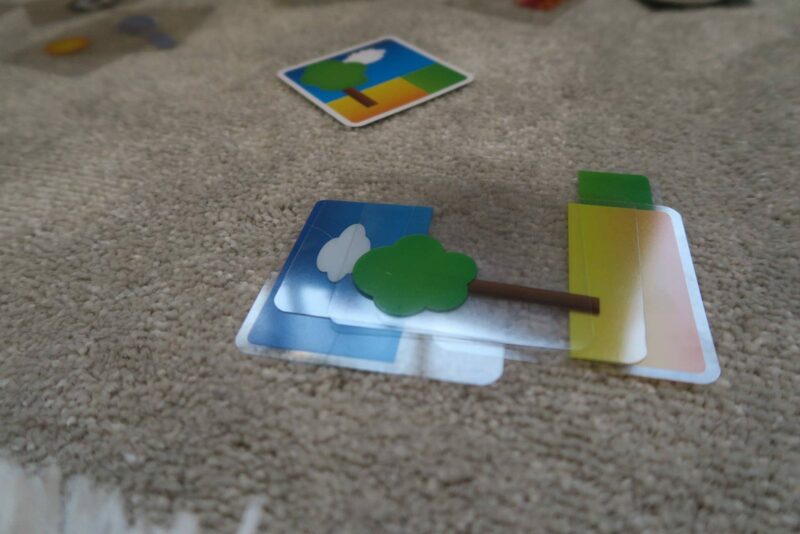 The purpose of the game is to recreate the image on the picture card with the transparent cards. 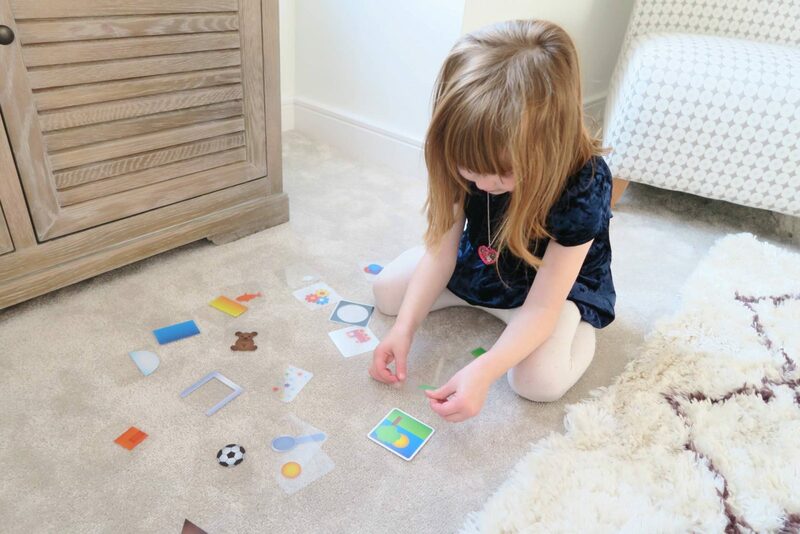 This is a great way for children to recognise shapes and colours. On the top of each of the card there are grey dots indicating how many transparent cards you will need. Allowing you to judge the level of difficulty and you can work on getting to the harder ones. You pick a picture card and put it in front of you. Then take the transparent cards and lay them out so you can see them all. 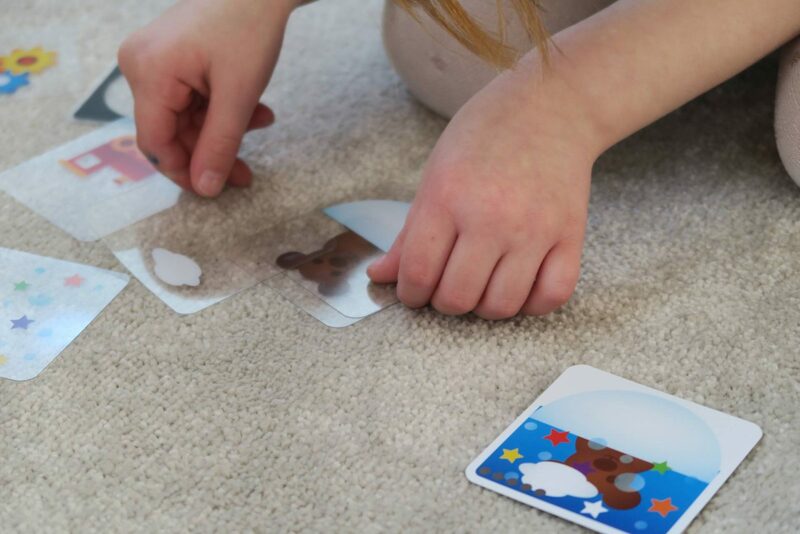 You can either build your picture on a flat surface or use the white plastic square in the box to build your picture up and ensuring the cards stay in place. Once you have the cards you then have to think about which one goes at the bottom, as placing a transparent card with a large coloured shape on top will cover any smaller shapes. This really got Alice thinking in a different way. We’ve never played a game like this before and Alice really enjoyed it. It was enough of a challenge to keep her interest, but also had a fun element too. She sat for the whole of Holly’s nap time playing it, with only some guidance from me at the start. I can see this is going to be a game that we will are going to be enjoying for a long time. Cartamundi Fundels will be available from Tesco later this month and WHSmith from February. The Standard games have an RRP of £3.99 and the Premium games have an RRP of £9.99. 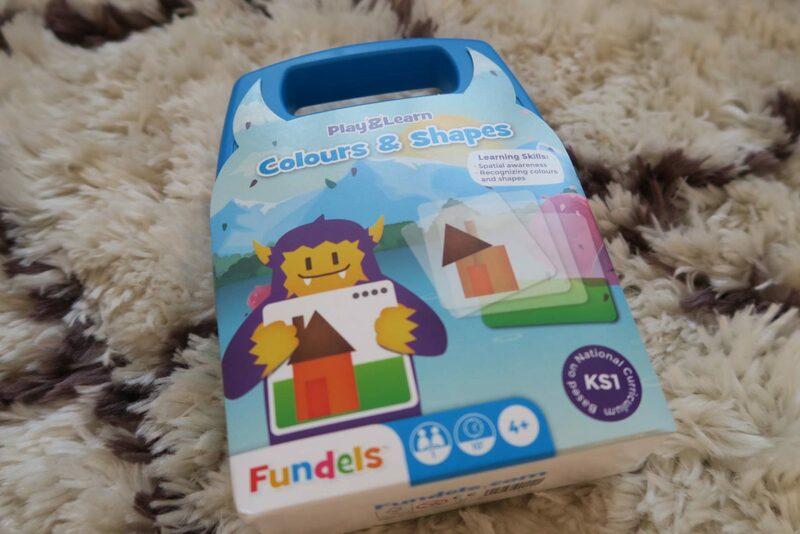 Cartamuni Fundel are giving one lucky person the chance to win a Colours & Shapes game. f you would like to be in with a chance to win this prize, just complete one or more entries below. Please read my giveaway disclaimer first before entering. Good luck! Disclosure: We were kindly sent this game for the purpose of this review. All views and opinions are my own. What a cute idea, I’ve never seen anything like this before.